Rome, Florence, Venice and Siena create the ultimate Italy experience. Rome is known as the eternal city for its thousands of years of history. This Italy Tour is home to such favorites sites as the Forum, the awe inspiring Coliseum, the iconic Trevi fountain where you can throw a coin and make a wish and of course the Vatican City. 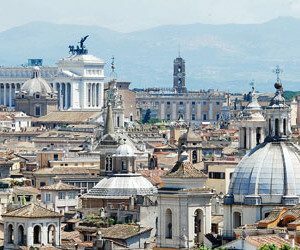 Outside the city of Rome you can visit the Statue of David in Florence, the floating city of Venice, Romeo and Juliet’s Balcony in Verona or the quaint village of Siena, everyday highlighting the unique beauty that is Italy.